Aqeeqa – Celebrating Little Jude with Balloons! 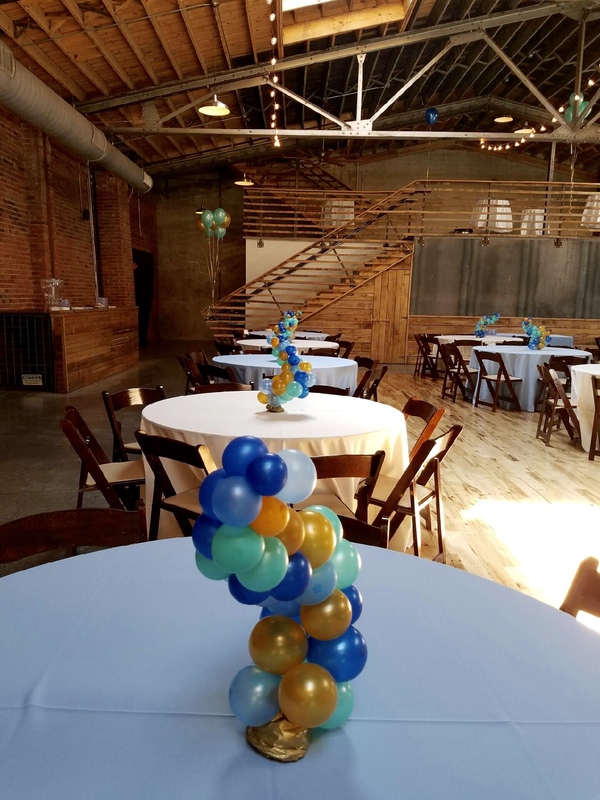 Celebrating a unique event with unique balloon decor! “Aqīqah, “Aqeeqa”, “Aqeeqah” ([Arabic]: عقيقة) is the Islamic tradition of the sacrifice of an animal on the occasion of a child’s birth. It is widely performed by Muslims and it is considered sunnah to slaughter one sheep for the baby girl and two sheep for the baby boy. 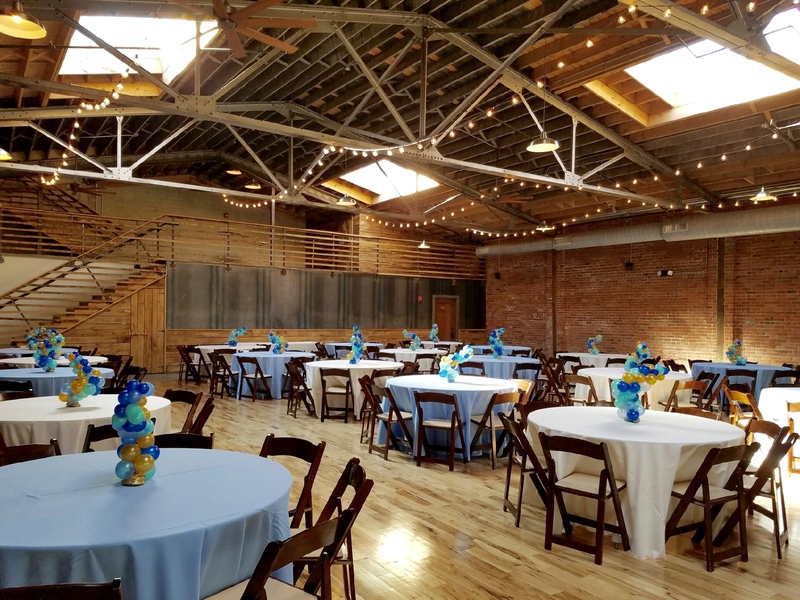 Late June I was contacted by a wonderful young lady looking for balloon decor for her little son’s Aqeeqa to be held at The Standard in Knoxville. She explained to me that although a bit more elaborate, the “Aqiqah” or “Aqeeqa”is very similar to a baby shower. From what I have read, Aqeeqa (note the various spellings), is not a religious celebration but a very special event in the life of a Muslim family. Quyn knew what she wanted from images that she had found on the internet. I assessed the project, discussed different options, sent her a quote which she agreed to and put the file away until a few weeks ago. and I started examining ways to make this unique balloon arch. As you can see, it was an odd but unique shape, not the standard upside down “U”, but just the top and one vertical line. It also had to be disposable because I was not returning to strike. I used 9 gauge utility wire for the frame. The end of the vertical part was attached to a 2 x 2 plywood board solidly taped to the floor. The top corner and horizontal section had 3 monofilaments from 3 different locations from a ceiling joist for support. This was a moment where I was very happy to own a Mag Pole! 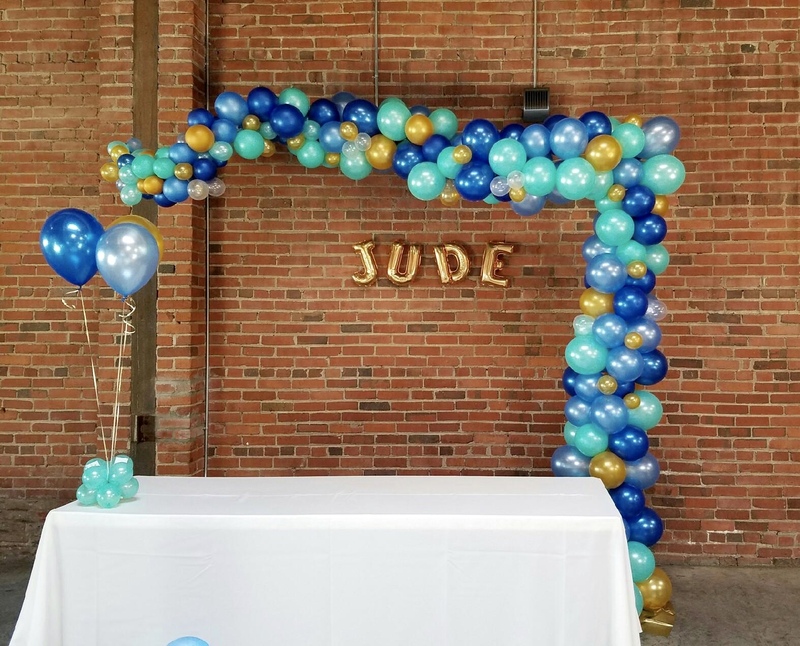 Loading the balloons was a challenge for me because they were all of different sizes and if there’s anything I’ve learned in the last year is that when building an arch or column, it’s essential that all your balloons be of the same size! It turned out to be quite attractive although looking at it now, I should have urged my client to choose the larger, 36″ letters instead of the 14″. They would have have been ideal at about 25″ but gold foil letters are not available in a size between 14 & 36. How small can you inflate a 5″ balloon? My client wanted the table centerpieces to match the arch not only in color but in also in shape. Although these ended up being easy to make, they were still challenging. The base had to be small yet with enough weight to support the odd angle. I used a 14 gauge wire for the framework wth 5″ balloons but since these were inflated to less than 3″, the true color was not fully represented because they were not inflated to their full capacity. Furthermore, the angle or “crookedness” made it difficult to find a balance point. Each centerpiece has 2, 5″ balloons with just a little water tied to the base and wrapped with gold tissue paper. Both myself and my client were satisfied with the results – it was exactly what she wanted! Terri (my loyal assistant), was also pleased with how everything turned out. Speaking of Terri, she has recently joined my team and has proven to be invaluable! I couldn’t have done this without her! My client has promised to send me photos of the venue when the decoration is complete and I look forward to seeing how everything comes together! Was my client totally pleased? See for yourself!